I’m going to keep a log here about my personal experience of JuicePlus+ so that you can hear, directly from me, how it has effected my life and those around me. 4) And the pain in my lower back is still very minimal! After 1 week, I can already feel slight differences. Now, I’ll tell you right now, I don’t feel drastically different by any means, that wouldn’t be authentic, but I can feel small changes that I know will have a big effect. First, I’m drinking way more water than I was before and I drank a good amount before. My husband also noticed that effect and our large Brita filter is having to be refilled almost every couple days, when we used to not refill it for weeks. I’ve very rarely seen him go and get a cup of water and now I see it all the time! Second, my cravings for sugar and sweets has decreased. My husband has also noticed this and this is a huge surprise as he has a pretty intense sweet tooth and has a history of eating ice cream for dinner. Third, I want to eat more fruits and vegetables. I used to have cravings for Cheez-its, chips, puffed popcorn, you name a bad food for you, I would crave it. This past week I found myself saying, “Man I could really go for some carrots right now” or “I wish we had oranges in the house.” I’m going to definitely have to change my shopping habits! Lastly, and possibly the most important for me, is the lack of pain in my lower back. And I say it that way because I live with back pain. I had back surgery when I was 20 and have had pretty constant and sometimes intense back pain (especially when I’m not taking care the way I need to: strengthening my core, using the inversion table daily, and exercising regularly). I can usually tell when my back is going to hurt after a long day of walking. The weekend after I started JP I went to Santa Barbara with some girlfriends and walked A LOT, with very flat sandals, and I just knew that after 2 full days of walking, my back was going to hurt on Monday…and it didn’t. Barely felt it, there were times when I wouldn’t even have known that I had trouble with back pain. I was blown away. That felt like absolute PROOF to me that JuicePlus+ is the real deal! I have difficulty taking pills (small Advil even gives me a problem! ), so I was a little disappointed that I had trouble with taking the capsules as I really wanted to use them. I had to put in an order for the gummies as I was having to resort to opening the capsules and putting them in food/drink (took a long time!). I’ve been getting better at swallowing them, but I’m excited to get my gummies. I haven’t craved or even wanted something sweet like chocolate, or any of the bad food I’ve always wanted to stuff my face with. There is a box of Mint Cremes from Trader Joes (DELICIOUS – and one of my favorite treats) sitting right on my living room table and I haven’t even wanted to open the box. I also have a bag of Powerberries (also from Trader Joes…sorry Trader Joes I’m not doing you justice right now!) that I haven’t opened either. I was out at Cheesecake Factory the other day and I was in the mood for a light snack. I perused all their “small plates” and saw zucchini fries, crab cakes, mozzarella sticks, and anything/everything fried. I thought, “thats what I would normally order, so might as well” but none of it sounded good. I then landed on the beet salad, and that, all of a sudden, sounded delicious. I can definitely, confidently tell you, I have NEVER ordered a beet salad before, let alone ordered one when I could have easily ordered something fried. I’m making better/healthier choices when it comes to the question of: what to order? Also, I’m not sure if you know this, but I’m a therapist that works with children and adolescents. Over the past few months I have had some pretty tough cases and although I love my work, I was coming home tired, dejected, and disheartened every day. Over the past few weeks, my attitude has changed. My clients have not, but I can feel an improvement in my mood. I’ve been enjoying my work way more. 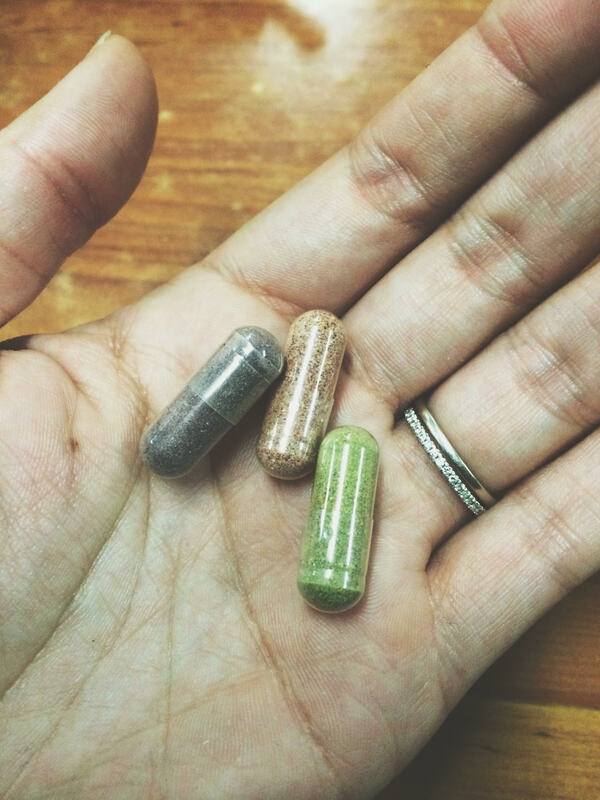 I’m not sure if I have more energy (which I have heard is a benefit of Juice Plus, but I’m not ready to make that claim yet), but something has changed. Well, the biggest difference I have noticed is feeling less sluggish at the end of my day. As a therapist for children and adolescents, I normally see my clients after the school day is over, often ending at 9pm. I was always a little sleepy, heavy-eyed at the end of my day, although I was still able to muster up some alertness to help my clients. 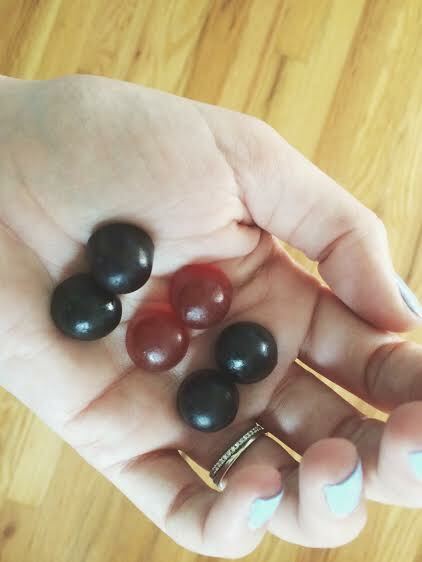 My Juice Plus routine has been to have 6 gummies in the morning (2 of each) and the other 6 gummies as a snack between clients in the evening. I started doing this only because I wanted a snack at that time and the gummies are so delicious, but what I found is that I was no longer having to fight my eyes closing at the end of my day. I was able to give my clients what they needed to get through whatever they were going through. I was leaving the office more energized and happy. I had earlier about thinking I was having more energy, but I had been skeptical especially because I had just started the Juice Plus and I didn’t want to instantly believe the hype that they give you more energy to get through the day. I wanted to be convinced myself. And boy does this convince me. I work such weird hours that I wasn’t sure of what kind of effect it could have on me. I’m not sure if splitting them up is what is so helpful as I know there are people that take them all in the morning all together, but I’m definitely going to keep on my routine! Another difference I’ve noticed is that I have to pluck my eyebrows more often. I know, this sounds incredibly silly. But what it is telling me is that my hair is growing faster. I got a haircut about 3-4 weeks ago, so I am eager to see how it effects my hair both in terms of length, but also strength (because I hear that it helps with both). I also noticed that my nails are growing faster and stronger. I’ve always thought I’d had pretty strong nails, but now looking back on it they would be breaking a lot. I broke my first nail in over a month a couple nights ago, only because I smashed it into the table! My bad!